In our digital age, customers expect that you communicate and interact with them on their terms, via their preferred channels. But many organizations struggle with how to streamline their communication efforts while also enabling dynamic, personal content that optimizes all of your delivery channels. With a unified platform that eliminates the need for multiple document generation and output management tools, Kofax Customer Communication Manager™ enables you to better engage with your customers, in the manner they prefer. Now you can produce and manage personal, accurate and high-quality communications that meet and exceed customer expectations. Ideal for any outbound communication, including contracts, proposals, insurance and mortgage documents, a single, easy-to-integrate software product puts your line-of-business managers in control of their correspondence with minimal IT involvement. Documents can be delivered across a wide range of channels—such as e-mail, print or online—making the solution a key component in your digital transformation initiatives. Create and manage tailored, intelligent communications with a single platform that gathers data from various sources, improving your business processes, saving time and increasing operational efficiencies. Generate communications automatically or through an interactive process to provide complete, correct and timely information that your customers can rely on, and in the format they prefer. Deliver documents in both paged (e.g. print or PDF) and non-paged formats (e.g. email, HTML, and XML). 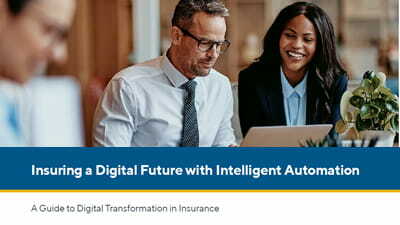 Move your organization from “personalized” to “personal” communications that enhance customer conversations with the software’s template engine that automatically combines data (structured content) from various sources and converts it into tailored documents. 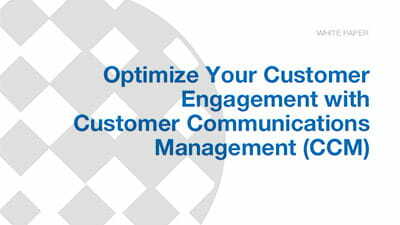 See how Customer Communications Manager can help solve your business problems.